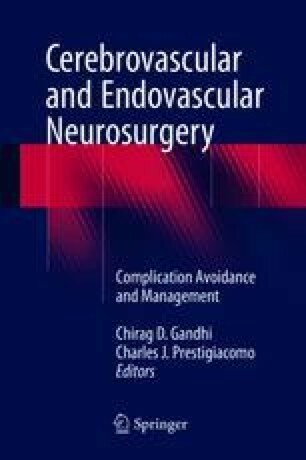 Endovascular treatment of pathologies of the great vessels leading to the cerebrovasculature is becoming increasingly common. This is achieved by use of stents to reinforce an injured vessel lumen or expand the lumen in stenotic segments. Here we discuss the indication for stenting, types of stents available, and associated complications from these procedures and their management.